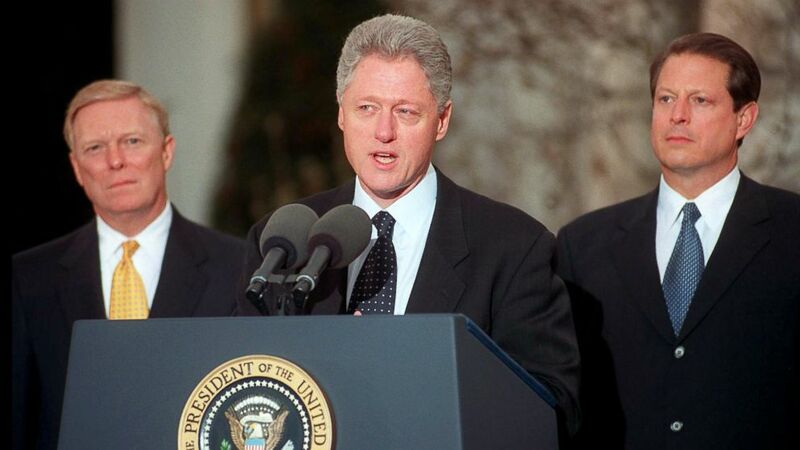 Just two presidents in American history faced charges of obstruction of justice. In the wake of reports that President Donald Trump requested then-FBI director James Comey to end an investigation into his former national security adviser Michael Flynn, there are mounting questions about Trump’s actions and whether he committed obstruction of justice, which could be an impeachable offense. Impeachment is a political process, in which any civil officer, including the president and vice president, can be removed from office “for, and conviction of, treason, bribery, or other high crimes and misdemeanors,” according to the Article II, Section 4 of the U.S. Constitution. Only three presidents in American history have faced impeachment or imminent threats of impeachment, and just two were charged with obstruction of justice, a federal crime in which someone "corruptly" attempts to “influence, obstruct or impede" the “due and proper administration of the law” in a pending proceeding, as stated in 18 U.S.Code § 1505. (Library of Congress/Getty Images) An engraving showing President Andrew Johnson in 1868. 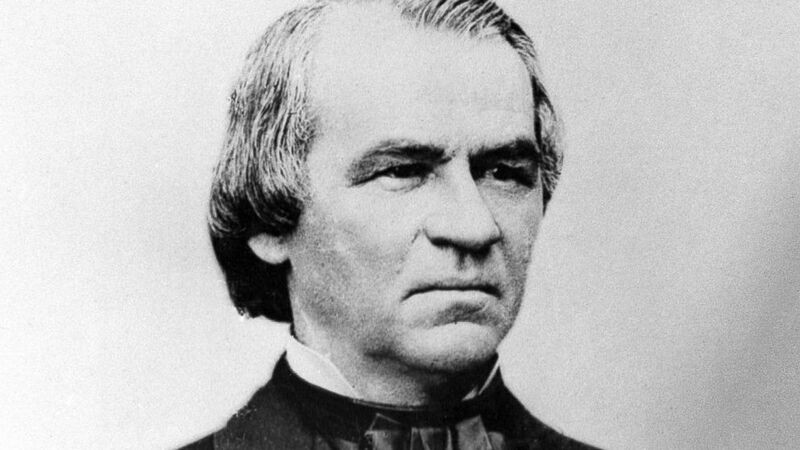 President Andrew Johnson was impeached and nearly removed from office after his policies for reconstruction of the South angered radical Republicans in Congress who felt his approach was too lenient on the former Confederate states. In February 1868, the House of Representatives voted to impeach Johnson. The House passed all 11 articles of impeachment, which, among other things, accused Johnson of illegally removing Secretary of War Edwin Stanton, an opponent of president’s policies, from office. The case went to trial in the Senate and the legislative body held a vote. Johnson came within a single vote of removal from office, and he was acquitted of the charges in May 1968. (Corbis via Getty Images) President Richard Nixon gives his farewell speech at the White House. 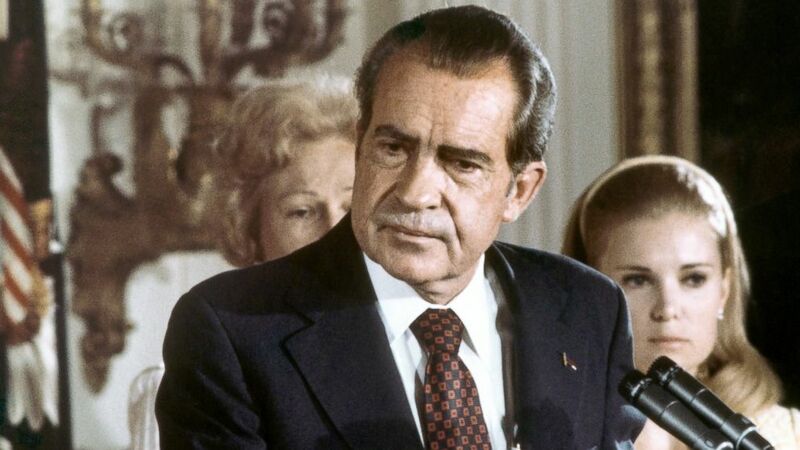 President Richard Nixon stepped down halfway through his second term to avoid impeachment amid the Watergate scandal. While Nixon was running for re-election in 1972, people associated with his campaign broke into the Democratic National Committee headquarters at the Watergate Hotel and Office Building in Washington, D.C. Nixon denied any involvement in the incident. On Feb. 6, 1974, the House of Representatives passed a resolution calling for Nixon’s impeachment and giving its Judiciary Committee authority to investigate. In July 1974, the committee voted to bring three articles of impeachment against the president, including obstruction of justice, to the floor of the House. Nixon denied that his actions amounted to obstruction of justice. Amid the committee’s investigation, the White House released subpoenaed recordings of conversations that revealed Nixon had taken part in his administration’s efforts to cover up its involvement in the break-in. With his political support vanishing and facing a likely impeachment by Congress, Nixon announced his resignation on Aug. 8, 1974. Vice President Gerald Ford took Nixon’s place and, a month later, pardoned him for any wrongdoing. (George Bridges/AFP/Getty Images) President Bill Clinton addresses the nation, Dec. 19, 1998, from the White House after the House of Representatives impeached him on charges of perjury and obstruction of justice. President Bill Clinton became the second American president to be impeached and he narrowly avoided his removal from office. On Dec. 19, 1998, the House of Representatives impeached Clinton on the grounds of perjury and obstruction of justice in connection with an extramarital affair he had with White House intern Monica Lewinsky. Two other articles of impeachment – a second perjury charge and a charge of abuse of power – failed to pass in the House. Clinton initially denied he had an affair with Lewinsky. But on Aug. 17, 1998, Clinton became the first sitting president to testify before a grand jury and, after questioning, Clinton admitted on national television that he had an inappropriate relationship with Lewinsky. The case went to trial in the Senate, which ultimately voted on Feb. 12, 1999, to acquit the president of the charges. Clinton remained in office. ABC News' Kate Shaw contributed to this report.